Who Are the “TRUSTEES” and What Do They Do? Broadly, the bankruptcy “Trustee” refers to the Office of the United States Trustee, which is part of the United States Department of Justice. Unlike the judge, the Trustee comes from the executive branch of the government. The bankruptcy judge is part of the judicial branch. The Trustee’s purpose is to promote integrity and efficiency in bankruptcy cases for the benefit of both debtors and creditors. The Trustee’s office oversees the administration of cases, and is a “watchdog” to prevent fraud and abuse. As a practical matter, the “Trustee” in a particular case is a lawyer who “administers” the bankruptcy estate. In a Chapter 13 reorganization, the Trustee conducts the first court hearing (the “Meeting of Creditors”), and makes recommendations to the bankruptcy judge with regard to the approval (“confirmation”) or rejection (“dismissal”) of Chapter 13 plans. After the plan is accepted, the Trustee monitors the debtor’s performance under the approved plan. The Chapter 13 Trustee also takes in “plan payments” from debtors each month, and then pays those monies out to creditors. In the Northern District of Georgia, the Chapter 13 Trustee has an office in Atlanta with several lawyers and support staff. The Chapter 13 Trustee takes in millions and millions of dollars from debtors, and then disburses those monies to creditors once each month in a “disbursement cycle”. In Chapter 7, the “Trustee” plays a different role. In Chapter 7, a local “case Trustee” is assigned to conduct the first court hearing (“Meeting of Creditors”) and to “administer” the estate. A Chapter 7 case is a “liquidation” case. The general purpose of the Trustee is to liquidate (sell) “assets of the estate”. These consist of the “equity” in the debtor’s property as of the date of filing. “Equity” is value of property in excess of any liens on it. A Debtor can protect (“exempt”) his “equity” in different kinds of property within dollar limits that are set out under Georgia statute. The Chapter 7 estate does not include wages after the case is filed, though it may include assets inherited within six months of filing, or monies recovered from law suits. A good lawyer will try to keep you from losing the property you want to keep… but will not be a party to hiding property (which can get everyone in trouble). As explained elsewhere, “exemptions” are allowances permitted under the law in different dollar amounts in different categories of property. One of the jobs of the debtor’s lawyer is to evaluate the property that you own and determine what you can protect (“exempt”). If you are at risk of losing something that you don’t want to lose, sometimes Chapter 13 is the superior choice, or sometimes you may have non-bankruptcy options. The key to making safe decisions is to clearly disclose what property you own to your lawyer in the early stages of consultation. Under general principles of contract law, if a person borrows money and is late in repaying it, the lender may choose to sue for damages to collect the debt. A lender starts a civil suit by filing a “summons and complaint”, usually in state court. The summons and complaint are “served” (delivered to) the borrower to let him know that he is being sued. The method of service should be reflected on the “return of service” noted in the court’s file. A suit that has been properly served requires that the defendant/borrower file an “answer” within 30 days of having been served with the suit. The answer should state a valid reason why the borrower is not legally obligated to pay the debt as stated in the complaint. If the borrower files a valid answer on time, a hearing will be assigned. If he wins the argument at the hearing, a judgment will be entered in his favor. Otherwise, if the borrower fails to answer, or if an answer is inadequate to dispute the default, then the creditor will win. The creditor may then use the judgment as the basis for a “garnishment” or “levy” to collect the money owed to it. A “garnishment” is a separate proceeding where the creditor requires the borrower’s employer to pay a percentage of the debtor’s wages into the court until the judgment is satisfied. A garnishment is served on the employer, not on the employee. Thus, it is not necessary for the creditor to “serve” (notify) the borrower of the garnishment, and it may hit the borrower unexpectedly. Alternatively, a garnishment can also take the form of a “levy”. 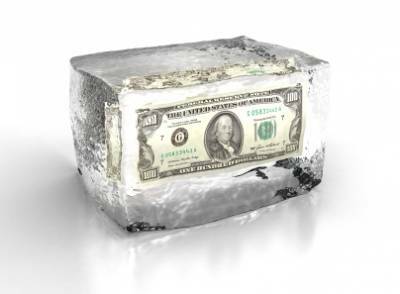 Here, the creditor may cause the debtor’s bank account to be frozen, and have the bank pay the monies over after a brief waiting period. Again, the borrower does not need to be directly notified, and is often surprised to find that his funds have been frozen. A levy may attach to a joint account even if the other owner(s) of the account have nothing to do with the debt owed to the creditor. Bankruptcy is commonly used as a defensive action to stop lawsuits, garnishments, and levies. If bankruptcy is filed before a judgment is entered, the bankruptcy will prevent the suit from going forward. If a judgment has been already entered, then at state law, the debt becomes “secured” by a “judicial lien”. In bankruptcy court, a judicial lien may be “avoided” if the lien “impairs exemptions” to which the Debtor would otherwise be entitled. A judgement usually “impairs exemptions” where the Debtor does not own significant equity in property. (This subject is beyond the scope of this article, and would have to be discussed specifically with the lawyer). If monies have already been taken under a garnishment or levy, it may still be possible to get the money back. Basically, the monies taken must be capable of being “exempted” in the individual case. Further, the amount must still be in the possession of the employer, bank, or court, or alternatively, if the monies have already been remitted to the creditor, they must have been garnished within 90 days of the bankruptcy filing, and must exceed $600.00 in amount. Records showing the amounts garnished and timing of garnishment are important to the lawyer in trying to get it back. These matters are frequently (but not always) resolved in favor of the Debtor. Of course, results depend on the facts of the individual situation. What Happens to Tax Refunds in Chapter 7? 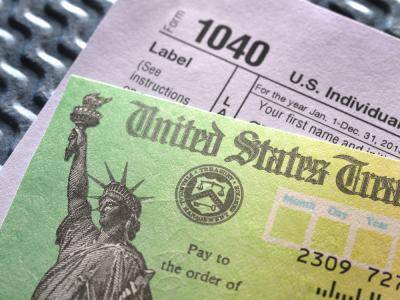 A tax refund is money that the government owes you because you paid in more (usually withheld from your pay) than what you owe in taxes. Since someone else owes you money, a tax refund is an “asset” like your bank account or your car, and it must be disclosed in the bankruptcy petition. In a Chapter 7, if you have not yet received your refund, you should disclose it, and then your lawyer will claim an “exemption” in it so that you keep it. You can exempt up to $5,600.00 per debtor, but this same “exemption” must be used to protect bank accounts and other miscellaneous property. If you have already received the tax refund before you file bankruptcy, then it is not an asset at the time you file, and you would not need to disclose it or to use your available exemptions to protect it as a tax refund. However, if the money was simply deposited in your bank account, you would then exempt that money as a bank account, but not as a tax refund. The same $5,600.00 limit would apply. To the extent that you are owed tax refunds that are greater than what you are allowed to exempt, the Chapter 7 Trustee has a duty to collect those refunds and pay the money to creditors whose debts are otherwise bing discharged. You should always ask the lawyer if you think you might lose something you do not want to lose. This is the best way to avoid surprises and to maximize what you are allowed to keep. Q: I fell behind on the house payments. My bank stopped accepting payments, and I received a letter saying that my mortgage has been “accelerated”, and that the matter has been referred to a lawyer for foreclosure. What does that mean? Will filing Chapter 7 help this situation? A: When you file a Chapter 7 bankruptcy, an “automatic stay” goes into effect that instantly freezes the ability of a lender to proceed with foreclosure …whether the lender knows of the bankruptcy filing or not. (If a foreclosure has already taken place by the time you file, however, a bankruptcy will not retroactively reverse it). 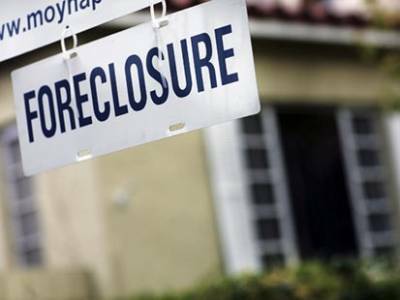 Q: What is the effect of filing a Chapter 7 if the house is in foreclosure? A: The “automatic stay” instantly stops foreclosures in a Chapter 7 just as it does in Chapter 13. However, the purpose in Chapter 7 is not to give the debtor a chance to reorganize the debt and keep his house. (That is the purpose of a Chapter 13: read about Chapter 13’s and foreclosure elsewhere on this website). Rather, the “automatic stay” in Chapter 7 is designed to give the Chapter 7 Trustee an opportunity to decide whether there is sufficient “equity” in property to allow the Trustee to sell it, pay off the mortgage, pay the debtor certain sums called “allowable exemptions”, and still have money left over to pay creditors whose claims are otherwise being discharged without payment. Thus, filing a Chapter 7 sometimes delays the sale of the house, but in the end, the debtor is not in control. For administrative reasons, it usually takes at least three months for the Trustee to make a decision about the property, and so foreclosure is often delayed for at least that long. Q: What if I have a lot of equity in the property? Can I keep it? however, the Trustee may sell it whether you agree or not. He must then pay closing costs and pay you money in the amount of your allowable “exemptions”. It is also possible in Chapter 7 to “settle” with a Chapter 7 Trustee even if you cannot exempt all of the equity you own. This requires negotiations between your lawyer and the Trustee, and the local knowledge of your attorney is important. For example, if it appears that the Trustee could realize $5,000.00 from selling property, he will usually be willing to “settle” by accepting the money, (usually in a lump sum) in lieu of the sale. You may have a relative or friend who would help out by buying out the “Trustee’s interest”. This might be very attractive to you if, for instance, you were able to discharge (wipe out) tens of thousands of dollars of debt while keeping your property by “settling” for a much smaller sum. In most cases, however, there is no meaningful equity in property, and so the Chapter 7 Trustee will eventually “abandon” his interest in it. This will allow the mortgage lender to proceed to foreclose under state law whether the debtor agrees or not. Chapter 7 will wipe out any remaining debt on the house, and a lender is not permitted to issue you a 1099 for debts “forgiven” if they have not already done so before you file bankruptcy. Q: I was behind on my car payments, and my car was repossessed. Can filing a bankruptcy help me get it back? A: Not by filing Chapter 7. Chapter 13’s are often used to cure defaults on car notes. Having a car repossessed does not cause you to lose all of your rights in that car. Under state law, you have the “right to redeem” a car (by paying for it in full) for 10 days or until the car is sold, whichever is longer. Thus, if the car has not been sold, you can use a Chapter 13 to force the lender to give it back, and let you pay for it over a period of years through your Chapter 13 plan. We can normally recover a repossessed car very quickly by filing a workable Chapter 13… assuming that you have full coverage insurance in place with the lender listed as the lienholder on the policy.It is not true that you must lose your car if you file Chapter 7. 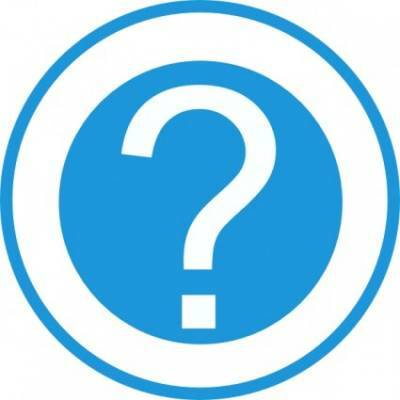 Q: What is the effect of filing a Chapter 7 on a repossession? A: A Chapter 7 is generally of no use to you if your objective is to get the car back, and if the lender doesn’t want to work with you. Secured lenders have real power in Chapter 7 if you are in default. They are not obligated to work with you to cure missed payments. Instead, that is what Chapter 13 is used for. However, a Chapter 7 will wipe out any “deficiency” owed, so at least you can get a fresh start and then hopefully replace it with another vehicle that you can afford. Of course, it is not true that you must lose your car if you file Chapter 7. Filing Chapter 7 is not an event of default if you are otherwise in compliance with your obligations under the note. (For example, you are not behind in your payments). In most Chapter 7’s, debtors keep and keep and continue to pay for cars (that is, they “reaffirm”). Rules pertaining to “reaffirmation agreements” are addressed elsewhere on this web site. 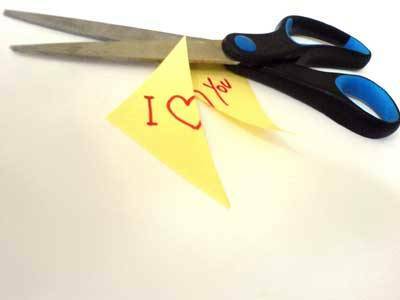 Does Filing Chapter 7 Have Any Effect on Obligations Arising in Divorce? It’s common knowledge that you can’t “bankrupt on child support or alimony”. Obligations “in the nature of support” (even if they are labeled something else in the divorce decree) have never been dischargeable in either Chapter 7 or in Chapter 13. This means that you can’t get rid of them without payment. If you are still married and are merely contemplating a divorce, a joint bankruptcy might make your way easier in the future. Assume that you divorce without filing bankruptcy. If you owe some debts jointly with the ex, the divorce decree should direct which of you is supposed to pay those joint debts. If you share the obligation to pay, that will require good communication and cooperation between you. That might well be a problem. It usually works best for each spouse to be totally responsible for paying any given debt. However, even if each spouse is assigned separate debts to pay, that does not affect the right of the creditor to collect from either one of you if both names are on the account. Thus, if the ex is supposed to pay a debt but does not pay it, you can still be sued by the creditor. Your only remedy would be to return to Superior Court to have it enforce the obligation that it ordered in the divorce. Similarly, if you don’t owe debts jointly with your spouse, a divorce court can order you to pay a debt that never was in your name as part of a “division of marital liabilities”. When you file for divorce, you want to achieve peace if at all possible. You don’t want to set yourself up for future conflicts either with your ex or with your old creditors. If you file bankruptcy and wipe out these debts, neither one of you will have to pay them in the future, and the divorce decree will not need to address them. This if often the best strategy for avoiding stress and conflict in your future life. Some, but not all, old tax debt can be wiped out (“discharged”) in a Chapter 7. (In some, but not all, Chapter 13’s, that same debt can be paid less than in full…pennies on the dollar). b) or if you filed it late, you must have filed it at least two years ago, and 4) Your return was not audited within the last eight months. The good news is that if all of the above are true, old tax debt is discharged in bankruptcy just as surely as a medical bill or credit card debt would be. Because tax debt “ages”in bankruptcy, April 15th is an important day. On that day each year, one more tax year becomes dischargeable if all of the factors listed above are true. Thus, as of April 15, 2014, taxes for tax year ending December 31, 2010, became dischargeable for the first time. (Before April 15, 2014, 2010 taxes could not possibly have come due more than three years ago, and would not be dischargeable under any circumstances). If you owe old tax debt, you need to 1) know the tax years in which those taxes were incurred, and 2) you need to know when you filed the return. Shortly before tax day, we sometimes counsel clients to wait until after April 15th to file for bankruptcy, because it can save you a lot of money to have another year of old taxes discharged. Call us, at 678-519-4143 and one of our lawyers will be happy to discuss your particular situation with you. What is the “Means Test” in Chapter 7? The “means test” is a formula enacted into the Bankruptcy Code in 2005. Congress decided that too many Debtors were “abusing” the bankruptcy process by discharging debt that they really could afford to repay. The “means test” was added to the bankruptcy statute to provide an “objective” method for the Bankruptcy Court to determine which Debtors can repay their unsecured debt (at least in part) in a Chapter 13 case. If a Debtor fails the means test, his Chapter 7 bankruptcy case is presumed to be abusive, and the United States Trustee will seek to have that case dismissed or converted to another Chapter under the Code. Debtors who fail the test would be required either to convert their case to a case under Chapter 13, or pursue non-bankruptcy options. The way the test works is that all of the gross income coming into the “household” during the six months before the case is filed is added together. Any changes during that period, such as being unemployed, are not generally considered. All income is taken into account, including bonuses, personal injury awards, and the like. That big number is then divided by six to arrive at a number that approximates “current monthly income”. Internal Revenue Service statistics are then used to compare that “current monthly income” for the Debtor’s household to the income of households of the same size in the state. If the Debtor’s “current monthly income” is less than “median” income for a household of the same size, Debtor passes the objective part of the test. If the Debtor’s household is more than median income, the Debtor does not necessarily fail the test. In that case, the lawyer must continue with the long form of the formula. The formula provides that certain items are to be subtracted from “gross current monthly income” such as taxes, insurance, child support or alimony, and payments made on secured debt like houses and cars. In addition, standard “allowances” are made for housing expenses, vehicle expenses, utilities, food, clothing, medical expenses, and the like. After making these subtractions, your “disposable income” needs to be zero (or close to it). If it’s not, you fail the test, but if you have “extraordinary circumstances”, there is an opportunity to assert those circumstances (and document them). Thus, you may “pass” anyway if your circumstances meet certain standards and are properly documented. The means test is complicated, but is not ordinarily a problem if you are overwhelmed by debt, and really can not afford to pay. 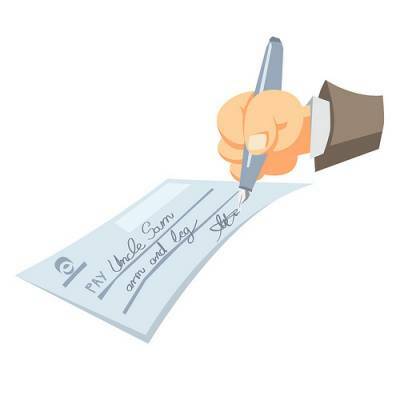 The test does require that you provide documents such as pay stubs, and it requires that a lawyer make calculations using a computer to keep up with changes in the formula as Congress updates it on an ongoing basis. 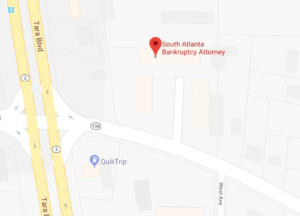 You shouldn’t worry about it, and should arrange a careful consultation with an experienced lawyer as part of the process of considering a bankruptcy filing. A: Yes. Chapter 13’s (not Chapter 7’s) are often used to cure defaults on car notes. 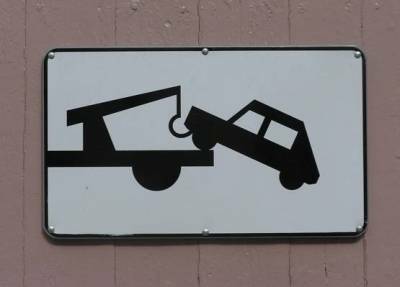 Having a car repossessed does not cause you to lose all of your rights in that car. Under state law, you have the “right to redeem” a car (by paying for it in full) for 10 days or until the car is sold, whichever is longer. Thus, if the car has not been sold, you can use a Chapter 13 to force the lender to give it back, and let you pay for it over a period of years through your Chapter 13 plan. We can normally recover a repossessed car very quickly by filing a workable Chapter 13… assuming that you have full coverage insurance in place with the lender listed as the lienholder on the policy. Q: I received a letter from the car lender saying that I have ten days after repossession to “redeem” the car by paying for it in full. I don’t have that kind of money. Does that mean that the car will be lost after 10 days if I don’t pay for it in full? A: No. By statute in Georgia, the car lender has to give you ten days to “redeem” the car by paying for it in full. After 10 days, they can sell it, and if it is sold in an “arm’s length” transaction, that will cut off your rights so that you can’t get it back. What’s more, they can sue you to collect any “deficiency” if the car sells for less than what you owed on it. However, the car will remain your property even after 10 days has run so long as it hasn’t been sold. In other words, so long as the car has not been sold, you can stop the lender from selling it by filing a Chapter 13, and then you can force the return of the car to you as property that is necessary for the successful completion of your plan. Q: Are there any circumstances where I can’t get the car back? A: Yes. If the car was legitimately sold before you filed bankruptcy, you can’t get it back. Second, you can’t force the lender to give it back unless you can prove to him that you have valid full coverage insurance on it. Thirdly, to benefit from Chapter 13, you need to be able to file a good, workable plan. If you can’t file a passable plan for one reason or another, the lawyer should not file the case just to get a car back, because it won’t work in the long run either for you or for anybody else. Q: How long does it take to get a car back after I file Chapter 13? A: In most cases, you can get the car back in a matter of hours or in a day or so. You’ll need to prove full coverage insurance, and of course, we would have to successfully reach a decision maker by telephone or fax. This is not usually a problem for major car lenders, and is only occasionally a problem with smaller lenders. Of course, if you have a terrible relationship with your lender, that will make getting them to cooperate more difficult, but not impossible. Q: Are there any other advantages to filing Chapter 13 after a repossession? A: Yes. It is often cheaper to pay for a car through Chapter 13 than under the contract. In Chapter 13, the interest rate can be reduced to a rate that is around two or three percent over prime, which may be much less than what you are paying under the contract. Further, you can stretch the payments out and take up to five years to pay. In a given case, this can substantially reduce what you are paying monthly.